gulags, ghettos, internment, concentration camps, conscription, drafts, involuntary servitude, slavery, military socialism from Edward Bellamy, author of "Looking Backward" and Francis Bellamy author of his "Pledge Of Allegiance." The USA's Civilian Conservation Corps (CCC) was military socialism inspired by Francis Bellamy (the author of the "Pledge of Allegiance") and his cohort Edward Bellamy (author of the book "Looking Backward"). The Bellamys idolized the military and wanted all of society to ape the military. It was an American dogma that led to conscription, drafts, inquisitions, involuntary servitude, slavery, and Holocausts. The same socialist schemes spread under the Union of Soviet Socialist Republics, the People's Republic of China, and the National Socialist German Workers' Party. There, the schemes contributed to massive poverty and millions of deaths. In the USA, the schemes extended the Great Depression, enlarged domestic poverty, and led the country into WWII and large loss of life. The CCC in the USA used scenes of the homeland, and men with shovels and other hand tools. The CCCP (Union of Soviet Socialist Republics) used the hammer and sickle to glorify harsh manual labor dictated by its socialist government. The Reich Labor Service (Reicharbeitdienst or "RAD" or State Labor Service) under the National Socialist German Workers' Party used a shovel with two shafts of wheat. But which socialists inspired the other? It was probably mutual. 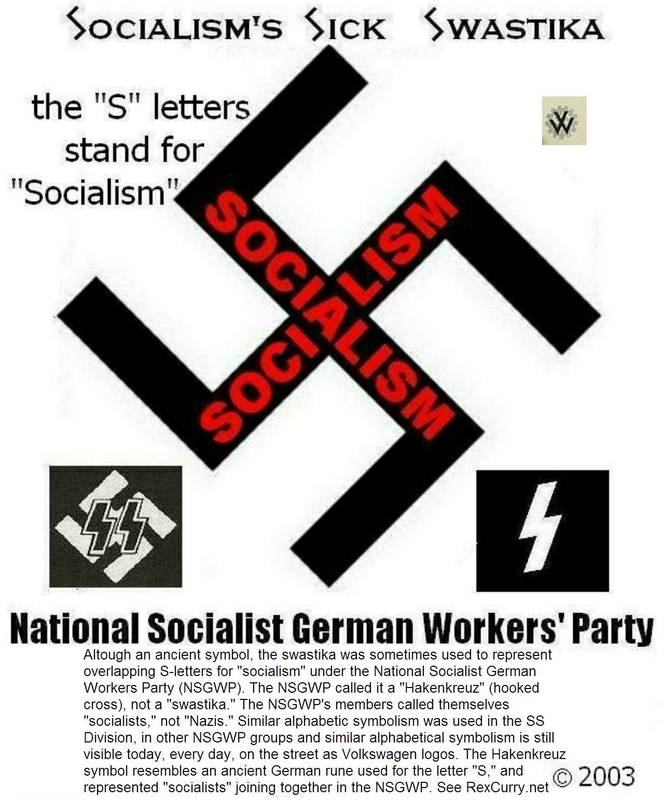 The RAD under Germany's Socialist Party was formed in July of 1934, though similar organizations had existed in Germany for many years prior to 1934. Long before the NSDAP gained power, the Union of Soviet Socialist Republics ran "work camps" and "concentration camps" and Hitler and Roosevelt were starkly aware of the USSR's monstrous behavior. Yet, the American socialist Edward Bellamy preceded (and inspired?) German socialists and Soviet socialists (Stalin/Lenin and Hitler) in touting concentration camps. In "Bible Bill: A Biography of William Aberhart" by David R. Elliot and Iris Miller (Edmonton: Reidmore Books, 1987, Pg. 188) , Elliot wondered how far Aberhart would have taken Edward Bellamy's proposals for concentration camps: "The nature of the State was better defined. Dividends would be given for loyalty to the State; if a person refused to work, or refused to join the Social Credit movement, he would not receive dividends. If he abused his privileges under the new economic system, the Credit House inspector could withdraw his dividends and put him on an "Indian List." The latter expression was not defined, but Aberhart may have had in mind the reservations or concentration camps that Bellamy had described for non-sympathizers." Major Douglas, the creator of the Social Credit theories, also sought a so-called Utopian world (once his economic principles were adopted, of course). FDR's shovel brigade was known as the "Roosevelt Tree Army" or the "Roosevelt Shovel Army." In the Nazi film "Triumph" it is impossible to forget (once it is heard) the phrase "Present Shovels!" barked to the industrial army of the shovel brigade, each carrying his G.I. spade as though it were a gun. The only thing missing at that point of hilarity is a choreographed dance routine with the ditch-diggers. It is reminiscent of the skit "Leaning on a shovel" in the production of "Sing for Your Supper" (under the New York City Federal Theatre Project, photograph in the records of the Work Projects Administration (WPA) May 1939 in the National Archives 69-TS-737-923-106). The glorious comrades in the USA, the USSR and in Germany, needed their "weapons" to shovel all the socialist manure that was piling up under their governments. It is unfortunate that the shovel army was later used to bury the victims of the incredibly deadly dogma. It is ironic that the first "C" in the CCC refers to the "Civilian" Conservation Corps because the program was actually run by the Army. CCC enrollees were organized and transported by the War Department. Usually, they were shipped far from home to the socialist labor camps. Delbert Apetz joined the CCC in York and was sent to Pawnee City, Nebraska, for his induction and training. Most enlistees began with a five-day boot camp at a military base where they got physical training and orientation. Discipline at most camps was military too, with marching, formations, KP duty and "lights out" orders at night. Photographs show that officers at the camps wore military uniforms and used military titles. CCC enrollees were housed in military style barracks in the USA. The film "Triumph of the Will" also shows thousands of tents lined up in hundreds of rows, as seen from the air over Germany. Roosevelt and Hilter used the same excuses: The work camps were used to "supply labor for various civic and agricultural construction duties and to generally help relieve the strain of high unemployment." Such scams are socialist plans to keep young men out of the labor market, and that is one reason they gain support from unions. They also provided preparation for military service that followed. It is the welfare-warfare of the military-socialist complex. The government's takeover of schools imposed segregation by law and taught racism as official policy, and compelled by law a daily pledge with the Nazi salute. The CCC enabled the government to expand socialism's segregation and racism at the very same time that similar policies were being followed by the National Socialist German Workers' Party. Segregated CCC camps occurred despite the fact that the CCC law contained a clause outlawing discrimination based on race. The CCC bureaucrat, Robert Fechner, justified the practice by stating, "segregation is not discrimination." On top of that, Black membership in the CCC was limited to 10 percent of the overall membership. There were 250,000 African Americans who enrolled in the CCC. Native Americans were also included in the CCC. There were 80,000 Native Americans in the CCC and they followed orders on labor camps on some of the socialized land that the government had taken from them through treaty or war. Much CCC work was labor performed for the government's socialized land. FDR had campaigned on a platform of cutting taxes, cutting spending, and cutting government. In other words, he would stop the massive socialism started by the republican-socialist Hoover and the make-work projects (i.e. Hoover Dam). FDR was a liar and did the complete opposite right after election. FDR gave feverish thought to socialist projects during the months prior to his inauguration, and he presented the concept of a "Civilian Conservation Corps" to his staff only hours after his oath of office. As proposed by FDR, the "CCC" would be an "army" of young men directed by the government. The CCC was one of the first socialist programs created by FDR during the first hundred days of his old socialist deal (the New Deal). It is frightening how fast FDR imposed the program and brought in the military. FDR took office on March 4, 1933 and immediately called Congress into special session. The CCC bill was introduced in both houses on March 27 and the bill passed both houses on March 31, four days later. FDR signed it, appointed an administrator and brought in the military. The first enrollee was inducted April 7, 1933, just 37 days after FDR's inauguration. Days after FDR's first announcement of the CCC, a selection of officials from various bureaucracies heard Rex Tugwell explain the newest layer of bureaucracy. To the several bureaucracies who would administer field work, the CCC represented an opportunity for massive growth. The National Park Service (NPS), in particular, was quick to seize that opportunity. During the Hoover Administration the National Park Service (NPS) had succeeded not only in preserving itself in the face of considerable pressure to reduce the size of government, but it had actually grown in number of areas, staffing, and funding. The NPS and the CCC share blame as two of many reasons why so much land in the USA is socialized, with the government as the owner. One of Roosevelt's excuses for the socialist program was to help safeguard the environment. Often, the dictated labor was called "soil conservation projects" which sounds better than saying that the government ordered Americans to shovel dirt and dig ditches. The reality was that FDR directed more than three million young adults to build roads and trails and structures in wilderness, to dam rivers, fell trees, string telephone lines, and drain swamps. Those drained swamps are the same ones that the government now steals billions in taxes to “restore” due to the damage that the government's socialism taxed everyone for in the past. One estimate is that 248,000 acres of swamp was drained. Those roads are the same roads that the government used to destroy private mass transit (railroads) and now steals billions in taxes to promote new mass transit that is owned by the government, while blaming you for using the roads that it taxed you to build. One estimate is that 125,000 miles of roads were built. Although the CCC was created quickly, many people were still opposed to the scheme. On Dec. 26, 1941, Senator Robert Taft, a Republican, warned the nation that the Roosevelt Administration would try to control the American economy and society. Taft believed that within six months Congress could abolish the CCC. On the other hand, some politicians wanted to export FDR's socialism overseas. But despite suggestions by Secretary of State Henry L. Stimson, Roosevelt's long-time political rival, Roosevelt refused to expand parts of the New Deal to Germany after World War II. There was much anti-German sentiment within America because of Germany's role in WWII. "I see no reason for starting a WPA, PWA, or a CCC for Germany when we go in with our Army of Occupation," Roosevelt said. It had already been tried there with even more disastrous results. The only reason that the effects were not even worse in the USA is because it was already so wealthy, capitalistic, individualisitc and because of the Second Amendment's right to keep and bear arms and the widespread possession of firearms by individuals in the USA. During the lifetime of the CCC from 1933-1942, FDR imposed even more national socialism on the workers in the U.S., including socialist slave numbers (social security) in 1935 at the height of Nazi power. It was touted as another worker's program for Roosevelt’s vision of the industrial army that coincided with similar numbering programs of the National Socialist German Workers’ Party. By 1942 when it was disbanded, the CCC had diverted almost 3.5 million men from productive work in a free market economy. In the process they developed a vivid sense of depedency, and that they were being controlled by the government. FDR also caused unemployment with labor laws, social security laws, and minimum wage laws (25 cents in October 1938) which all exacerbated the depression. His extension of the depression was another reason for FDR to go into war. The CCC existed for over nine years until June 30, 1942, at which time it was absorbed into America's Armed Forces. Roosevelt moved industry toward war production and began enormous deficit spending. The Reichsarbeitdienst was disbanded with the collapse of the Third Reich on May 8th, 1945. After World War II, Lewis Mumford (1951) argued for a “public work corps” that would involve all American youth. It is fortunate that the corps did not take shape, and that only a marginal number of such cockamamie schemes exist today. Constructed by the Civilian Conservation Corps in 1936, Hillsborough River State Park is one of the oldest state parks in Florida. Highlands Hammock State Park, Sebring FL., was a CCC project and now has a statue that was dedicated August 2, 1997. It was the fourth CCC worker statue and was donated by Henry Billitz in honor of his brother, Emil Billitz who suffered complete paralysis as the result of a truck accident while serving in the CCC. Through hard work and therapy he regained the use of his upper body. The statue is also dedicated to the 2,876 men who lost their lives while working for the CCC between 1933 and 1942. 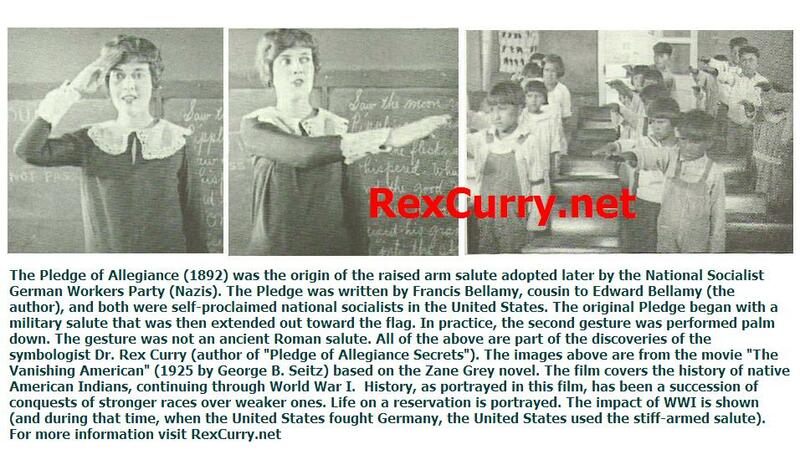 Government schools in the USA taught the stiff-arm salute to segregated native-Americans on reservations et cetera. everyone in the U.S. immediately dropped the traditional American stiff-armed salute for the heart gesture merely because Congress suggested it). 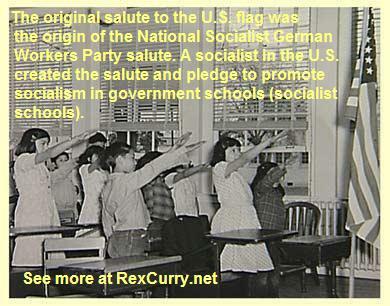 The Bellamy dogma of military socialism and the Bellamy salute spread all over the world. Croatia (Nesavizna Drzava Hrvatska): The 1943 semipostal set aiding the Croatian State Labor Service. Founded in 1941, the "Drzavna Radna Sluzba" (DRS) was modelled on the German RAD. All physically fit males between 19 and 25 were obliged to serve in the DRS for 12 months, prior to a call-up for service in the armed forces.